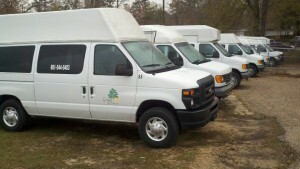 Grove Transit’s goal is to exceed your expectations. We maintain a fleet of over 70 vehicles located throughout the Pine Belt Area which allows us to tailor our service to your individual and unique needs. If you have any questions or requests please contact us and our friendly dispatchers will to arrange the ideal transportation.